Severe malnutrition in the first year of life even when corrected for the rest of a person’s life leaves a legacy of permanent cognitive deficits, marked deficits in attention, and increases in depression, conduct disorders, and medical disorders compared to carefully matched controls. Jamina Galler, a researcher at Harvard Medical School, gave a plenary talk at the 2013 meeting of the American Academy of Child and Adolescent Psychiatry on the long-term effects of even short-term childhood malnutrition, including marasmus (calorie deficiency) and kwashiorkor (protein deficiency). Galler’s studies followed three generations of people born in Barbados and observed the consequences of prior malnutrition, which was completely eliminated in Barbados by 1980. The consequences of malnutrition in the first year of life not only affected the first (G1) generation, but subsequently their offspring in the G2 generation who also suffered an excess of attention-deficit hyperactivity disorder, low IQ, and low annual income into adulthood. That is, the early malnutrition had transgenerational effects. Malnutrition is a huge problem worldwide and is especially bad in sub-Saharan Africa and some parts of Asia. Globally, malnutrition accounts for 50% of the deaths of children under age five. 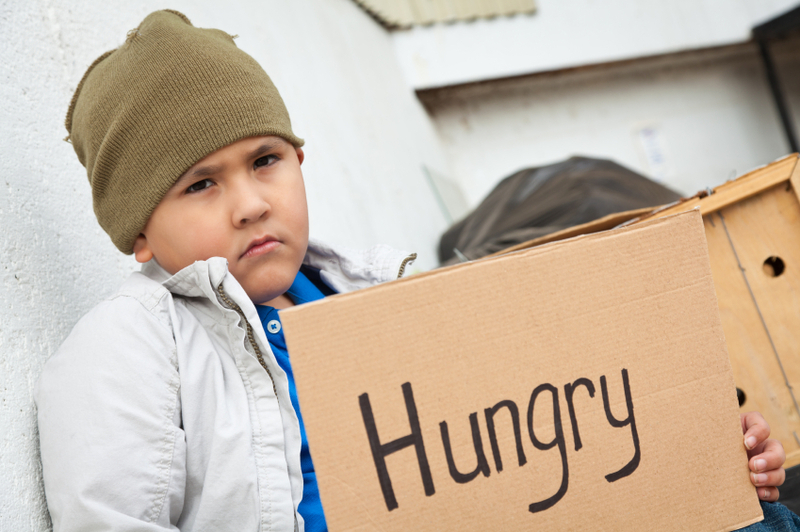 However, even in the US hunger is a problem for one in four children, or about 16 million individuals, and the long-term consequences of hunger remain to be further studied. Studies in animals indicate that early malnutrition has epigenetic effects that can be passed on to four future generations before they are reversed. Epigenetic effects refer to environmental factors that cannot change the sequence of DNA, but change how easily it is transcribed by adding or taking away acetyl and methyl groups on DNA and histones, the structures around which DNA is wound. Malnutrition (defined as 6–8% casein, a type of protein, in the diet instead of the normal 25%) in rodents affects cognitive abilities and blood pressure and can lead to diabetes, obesity, and other metabolic abnormalities. The next generation is also affected because a previously malnourished mother huddles too much with her offspring, and they become obese as a result of these poor parenting skills. The second generation also exhibits epigenetic changes in the prefrontal cortex (such as too few glucocorticoid receptors due to methylation of the glucocorticoid promoter) and fewer neurons in the hippocampus. Editor’s Note: Other data indicate similar long-lasting epigenetic and transgenerational effects of other types of childhood adversity, such as verbal, physical, or sexual abuse. These findings in humans are also paralleled by findings in animals, and give strong credence to the idea that the environment can have long-lasting effects on neurobiology and behavior via epigenetic effects that can be superimposed on whatever genetic effects are inherited. Data from this editor (Robert Post) and colleagues on verbal abuse in childhood is striking; this supposedly less severe form of abuse is still associated with a more difficult course of bipolar disorder and an increase in medical comorbidities. Thus, the experience of early abuse, even just verbal abuse, appears to have long-lasting consequences for psychiatric and medical health into adulthood.